As a little little sneak-peek on the upcoming first novel for Albion Online, we had a background article on the Royal Expeditionary Forces. Want to know who ensures that the developers are getting paid and that our community is informed? Have a look at our operations room spotlight! As the World of Albion grows bigger and bigger, the challenges and the projects for the production team grow further. Therefore, we are more than delighted to have won three skilled and passionate employees to join us here at Sandbox Interactive over the recent weeks that will help making Albion Online a great and unique experience for our players. As a special bonus for this roundup, we would like to introduce them to you. Next up is Richard Panholzer, who joined our team as Senior Animator. Before joining Albion Online, he has, among other things, worked for Yager on Dead Island II and for Relic Entertainment on Space Marine. He is looking forward to help improve on our combat system – a challenge that is not unlike the work on Space Marine, due to the bulkiness of the armor and the over the top animations. When we asked Richard what his favourite part about working for Albion Online was, he said; "Well let me put it this way, this morning I made myself some tea, began on a disembowling animation and thought to myself ‚life is good‘". Adrian – Levels. Dungeons. So Much Room For Activities! And last, but definitely not least, there’s Adrian Wüst, our newest level designer. He previously worked for HandyGames, where he worked on titles such as 1941 Frozen Front and 1942 Pacific Front. He joined the team behind Albion Online because he wants to develop a game with a dedicated playerbase. He is looking forward to the challenge of bringing the level of detail and complexity needed for designs in such a core game to the next level. 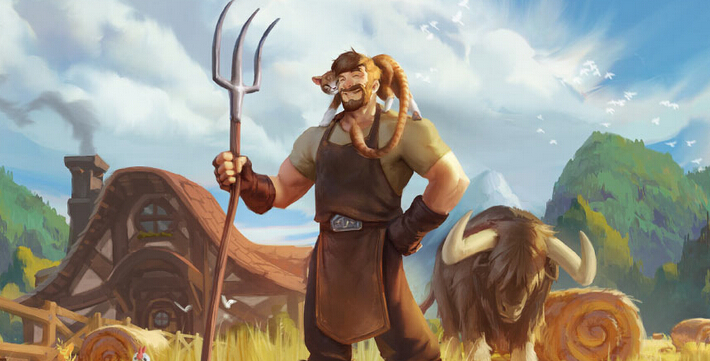 When it comes to playing Albion Online, he vividly talked of the the advantages of an MMO environment with the story being written by the players themselves. First, meet Jörg Friedrich, our new Creative Director. After studying at Games Academy, an institution where he nowadays teaches, his career took him through various stations, most notably Yager, where he was Design Director for Dead Island II and the critically-acclaimed Spec Ops: The Line and, before, Radon Labs where he worked on Drakensang. He joined Sandbox Interactive particularly to work on a Sandbox MMO, a dream he harboured since first playing Ultima Online. That is also the aspect he looks forward to the most, both as player and as designer: the complete freedom to do and play what you want, and how to create a ruleset that allows players with a solid framework to reach said amount of freedom.